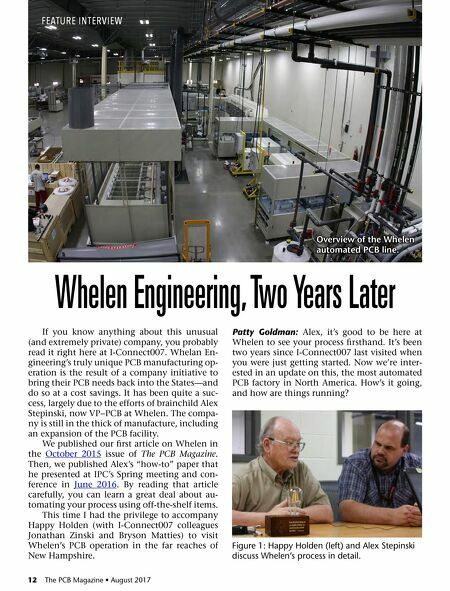 12 The PCB Magazine • August 2017 Whelen Engineering, Two Years Later FEATURE INTERVIEW If you know anything about this unusual (and extremely private) company, you probably read it right here at I-Connect007. Whelan En- gineering's truly unique PCB manufacturing op- eration is the result of a company initiative to bring their PCB needs back into the States—and do so at a cost savings. It has been quite a suc- cess, largely due to the efforts of brainchild Alex Stepinski, now VP−PCB at Whelen. The compa- ny is still in the thick of manufacture, including an expansion of the PCB facility. We published our first article on Whelen in the October 2015 issue of The PCB Magazine. Then, we published Alex's "how-to" paper that he presented at IPC's Spring meeting and con- ference in June 2016. By reading that article carefully, you can learn a great deal about au- tomating your process using off-the-shelf items. This time I had the privilege to accompany Happy Holden (with I-Connect007 colleagues Jonathan Zinski and Bryson Matties) to visit Whelen's PCB operation in the far reaches of New Hampshire. Patty Goldman: Alex, it's good to be here at Whelen to see your process firsthand. It's been two years since I-Connect007 last visited when you were just getting started. 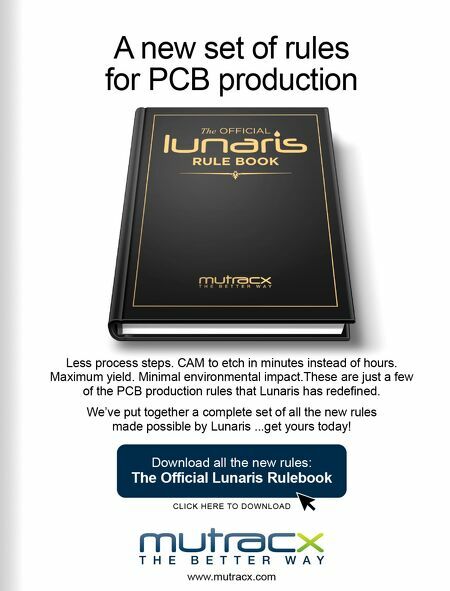 Now we're inter- ested in an update on this, the most automated PCB factory in North America. How's it going, and how are things running? Figure 1: Happy Holden (left) and Alex Stepinski discuss Whelen's process in detail. Overview of the Whelen automated PCB line.